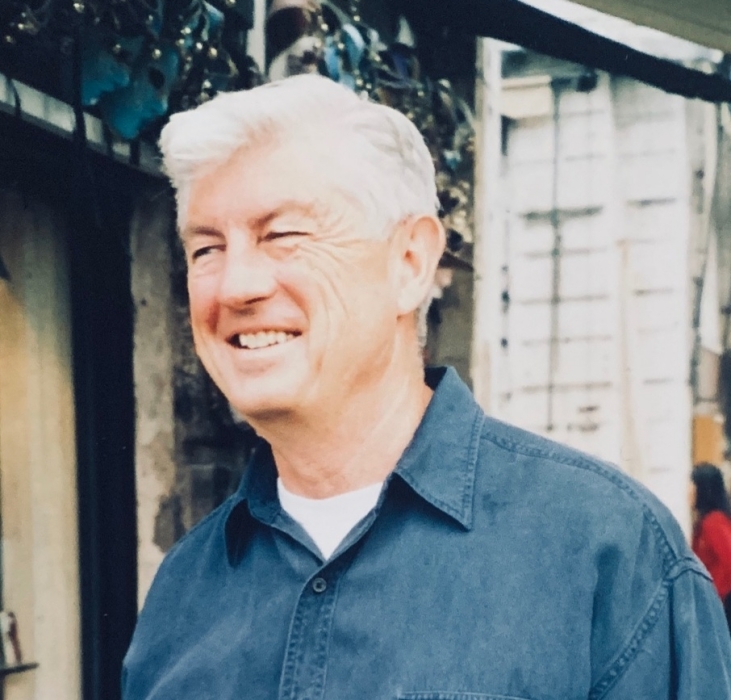 James (Jim) Spencer, husband, father, brother, grandfather, uncle, cousin, musician, and long standing, devoted community member, exited his corporal being on March 24, 2019 at the not nearly old enough age of 69. Jim was born to Margaret (Mugsy) and Charles Spencer on June 30, 1949 in Danville, IL, the second of six sons, Charles, **Jim,** John, Bob, Steve, and Mike Spencer. Jim attended, and held the high honor of altar boy at Holy Cross Catholic School through his formative years, later graduating from Central High School in Champaign, IL. As a director for the Champaign Park District, Jim rocked out the Champaign scene with gorgeous parks, the installation of Champaign’s one and only skate park, and the renovation of the Virginia Theater. But beyond the physical contributions Jim made to his community, it was his humble swagger, and relentless pursuit of justice that garnered him the kind of love and respect he was given by so many. With a quality that few humans possess, he could teach you the error of your ways, and leave you standing there wondering how in the hell you ended up thanking him, for schooling you. Without a doubt, fatherhood was his crowning glory. He loved his children deeply, and his pride in them was clearly evident by the shine in his eyes when he spoke of them. He extended the same quiet guidance and compassion to his nieces and nephews who knew they could count on him for an open mind and solid advice. Family was a powerful driving force in Jim’s life, and the strong bonds between him and his five brothers were carried on to their children, and grandchildren. A close knit family remains intact with barely a fray, or stray thread to be found. Jim was preceded in death by his mother, Margaret, his father, Charles, and his brother, Bobby. He is survived by his wife, Judy Ciambotti, his children, Gia Ciambotti, Joel Spencer, Sunny Brown, and Rachel Spencer, and his remaining brothers and their families. He is missed beyond words. A celebration of life will be held on Saturday, March 30th, 2019 from 12-3 pm at The Virginia Theater, 203 W. Park Ave, Champaign. In lieu of flowers donations can be made to the Champaign County American Civil Liberties Union, Box 2651, Champaign, IL 61825.